A: more of an amber color than rr's other 3 ipa's. No haze or sediment. S: not much to report here. Which is VERY different than hopfather or Pliny or blind pig. Just minor citrus and some malty sweetness. T: clean bitterness with next to no fruit flavor from the hops. More comparable to DFH 60 or green flash west coast than to it's rr siblings. On tap at Russian River. I really like all of Russian River's IPAs and I was glad to finally try this one at the pub (the only place I've ever seen it). The menu lists it as 6.75% abv, 62 IBUs, and 1.064 OG. It's a joy to have a beer like this fresh at the pub. Pours orange with a very thin head that settles to a swirl, but great lacing. Smells of pine and a touch of dry malt. The taste is an explosion of pine- and I love that! This is probably the piniest beer I've ever had. A bit like gin, but with a wonderful sappiness from glorious, resinous pine. Very fresh as well. There is a bit of sweet malt to balance, but what you remember about this brew is how resinous it is. Somewhat spicy and prickly as far as mouthfeel goes, but that nice resinous quality leads to a long, lip-smacking finish. Dellicious and uber satisfying, and doesn't get nearly enough love. I know its out of the general perception of this beer, and almost blasphemy to say about a RR beer - but this beer was really quite bad. It looked and smelled like a typical IPA - bright and well presented with a moderate piney/fruity aroma. But when i tasted it... all there really is is bitterness, so much bitterness that everything else is beaten mercilessly into the background. Its one of the most spectacularly unbalanced beers that I have ever tried and one of the few that was not actually "faulty" that I have been unable to finish. With Blind Pig and Pliny on the menu, I have no idea what the purpose of this beer is, other than to prove that if you try you can make a be so bitter that only the profoundly masochistic would try top drink a second glass. You don't have to be flamboyant in order to do it well. That's my impression from this beer. It's easy drinking and consistent on the profile. Thorough hop character stays quite consistent. And it's well balanced. It's always nice to be able to try a different RR beer, and this doesn't disappoint. It isn't going to blow you away with some intense complexity, but it impressed me with its consistency and steady nature. Poured from a growler courtesy of Matt at a recent tasting into my Stone Old Guardian glass (05/29/10). 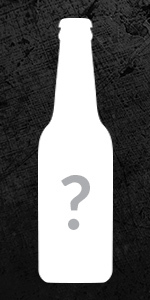 A: Pours a slightly hazy golden color with a slight orange hue capped with a nice finger of off-white head. S: A nice bouquet of pine, flowers, grapefruit, and hints of tropical fruit. T: A nice bitterness up front with layers of pine, grapefruit and citrus. Really clean and well balanced. Sort of falls in between Blind Pig and Pliny, which is never a bad thing. M: Medium-bodied with nice carbonation and a slightly slick mouthfeel. D: I could drink this beer all day. Overall this is another great beer from Russian River and a real treat to have out on the East Coast. Thanks again Matt! Recommended. Copper-colored, slightly hazy, with a quarter-inch of white foam. Nose is dominated by resiny hops with very little malt presence. Very pungent and aromatic. The taste is similarly dominated by hops, hinting at flavors of grapefruit and lemon rind with a very dry and subtle malt profile. Body is about medium and carbonation is crisp. Bittering hops coat the tongue in the finish, leaving a resiny aftertaste. This is very nice stuff, but having had it following a pint of Blind Pig I have to say that it's an inferior brew. Still a cut above just about every other IPA out there though. Draft from the Santa Rosa brewpub. A: Filtered clear, light copper with white head. S: Lovely US hop aroma - citrus & pines, some malt, very clean yeast character. T: High hop flavor & bitterness with medium malt backbone. Smooth malt with prickly hop bitterness . . . just a great West coast IPA. M: Medium to full bodied with medium CO2. D: Med-high, which is scary given the strength of this beer. If stoping by Santa Rosa, be sure to check out Flavor Bistro, just block from RR, for a great selection of Moolight Beers very ... interesting. On tap at Churchill's, San Diego, CA on 7/10/09. Served in a plastic cup, due to renovations happening at the pub. A - Hazy amber/orange body with medium carbonation and half a finger of bubbly off-white head that retained very well and left some sticky foam along the sides of the cup. S - Citrus and floral hop bouquet up front with a tiny bit of pine and subtle waft of alcohol. Malt is sweet and caramely with a slight biscuity character. T - Balanced IPA with a strong malt backing suggesting sweet caramel, toasted grains and bread. Hop character is primarily citrusy with floral notes and an inkling of earthy notes and pine needles in the backend, the latter of which provides a subtle sting. M - Medium bodied with a slight oily, although somewhat watery texture and moderate carbonation. Decent amount of bitterness on the palate with a short lingering finish, although it gained momentum as time went on. D - Good enough IPA, but with Blind Pig and the Plinys available, why bother?